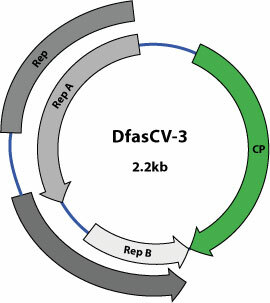 The replication (Rep) protein initiates and terminates rolling circle replication. Transcription is bidirectional from the long intergenic region (LIR) which contains two divergent promoters. 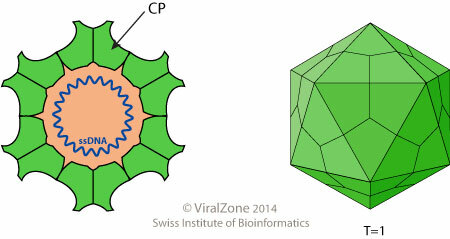 The resulting transcripts encode a capsid protein and three replication-associated proteins.